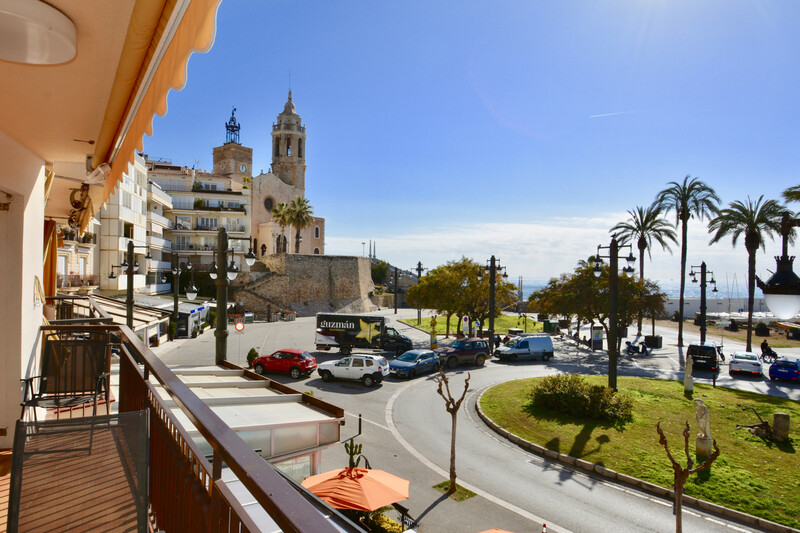 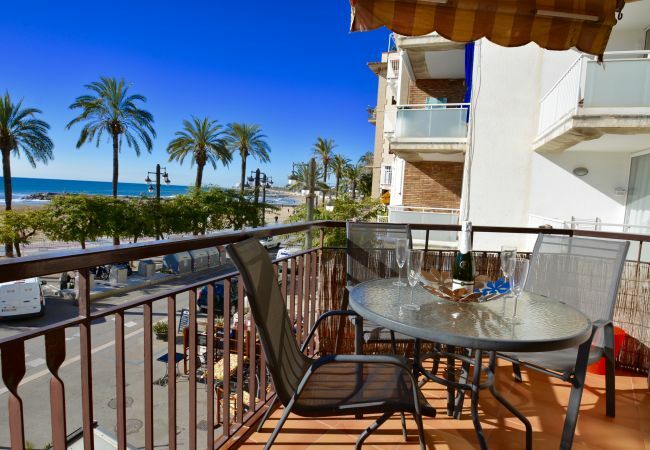 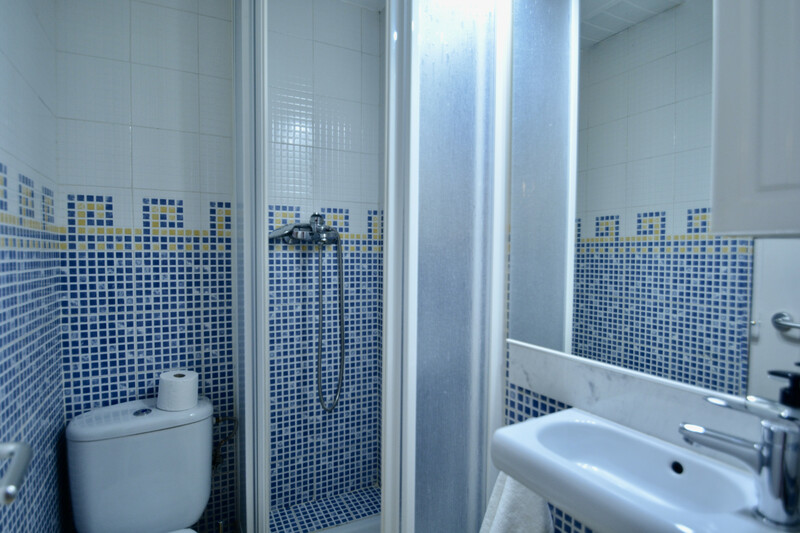 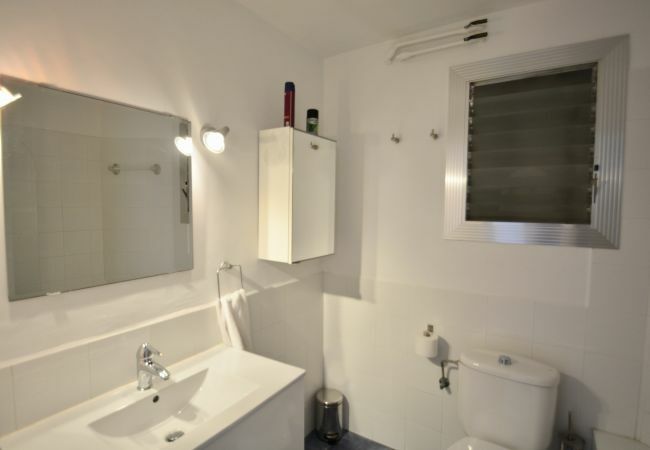 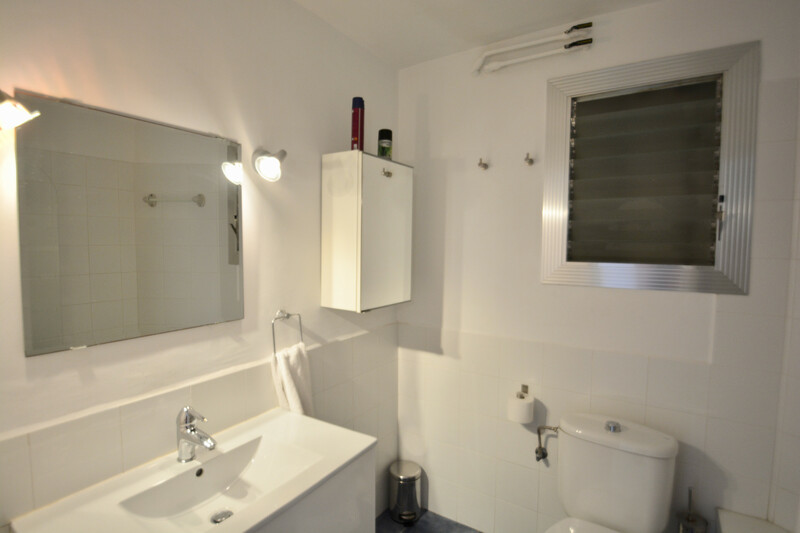 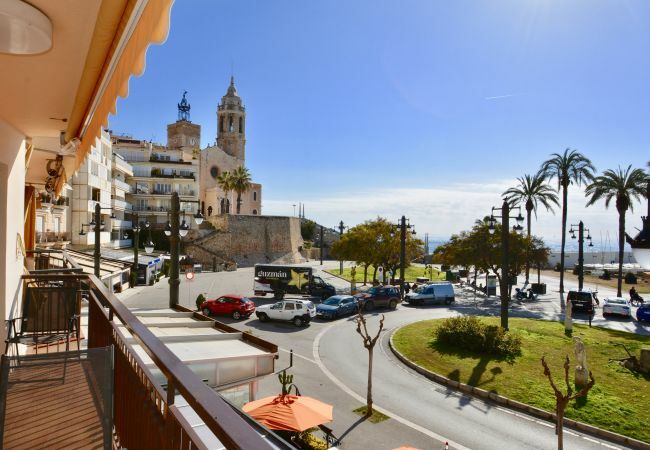 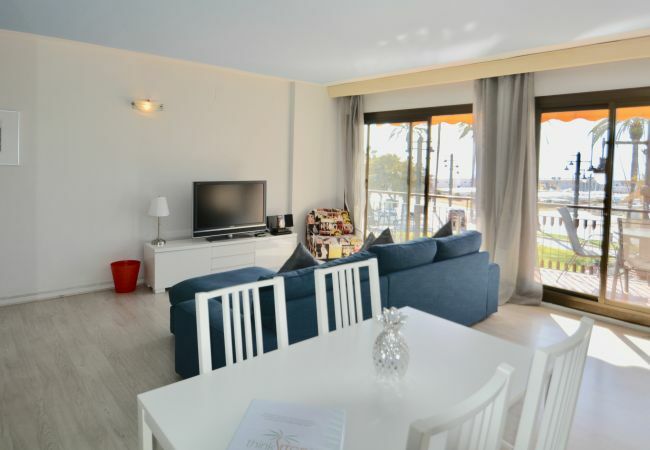 Fantastic apartment on the Sitges seafront. 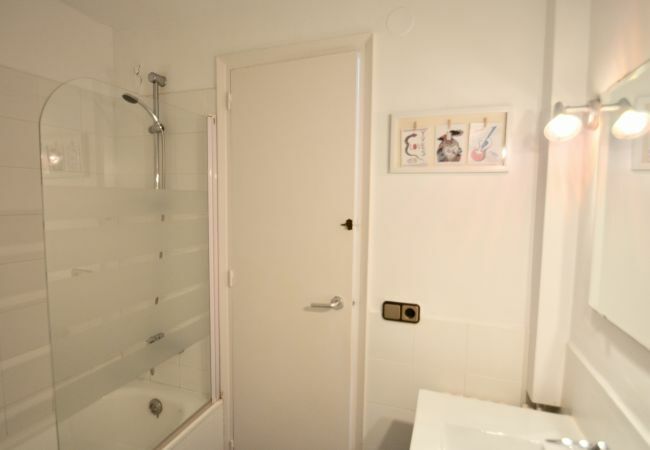 The accommodation consists of one double bedroom with king size bed and one twin room which can also be made into a double if required with a mattress topper. 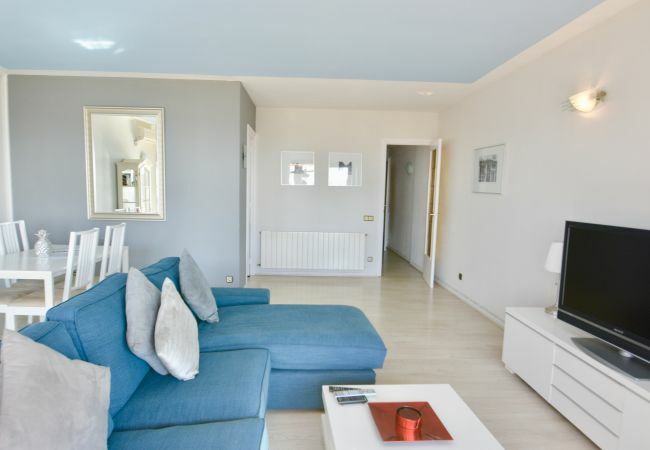 Wooden floors in the hall and living area, marble floors in the other areas. 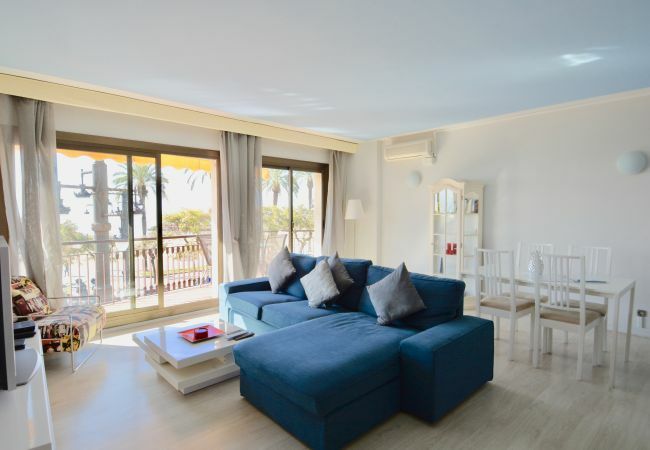 Bedrooms are on the side of the apartment (both exterior) and the living room at the front has large sliding doors opening out onto the balcony where there is a table and chairs for al fresco dining. 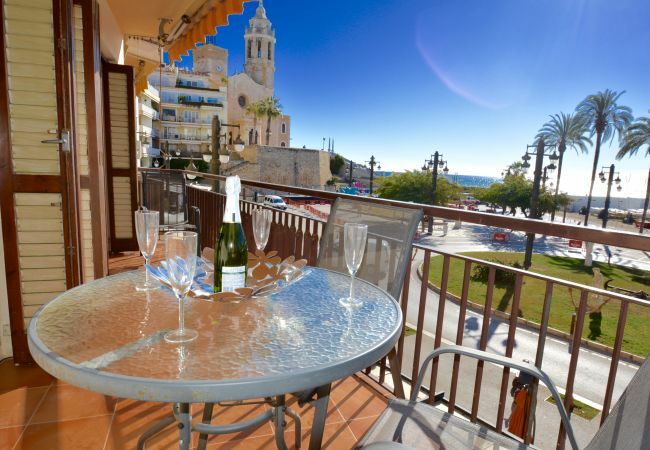 There are also more comfortable chairs for enjoying the spectacular views with a cup of tea or a cocktail! 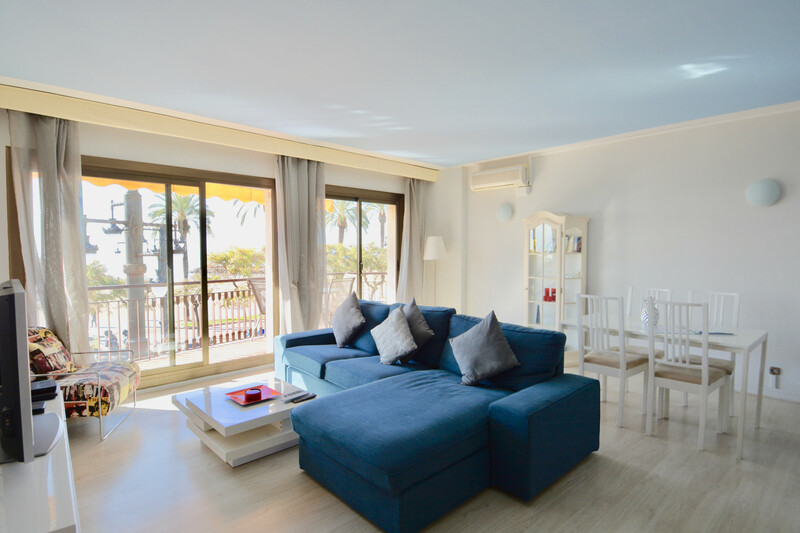 The living/dining room is very spacious and light and has a dining table and 6 chairs, sofa and easy chairs. 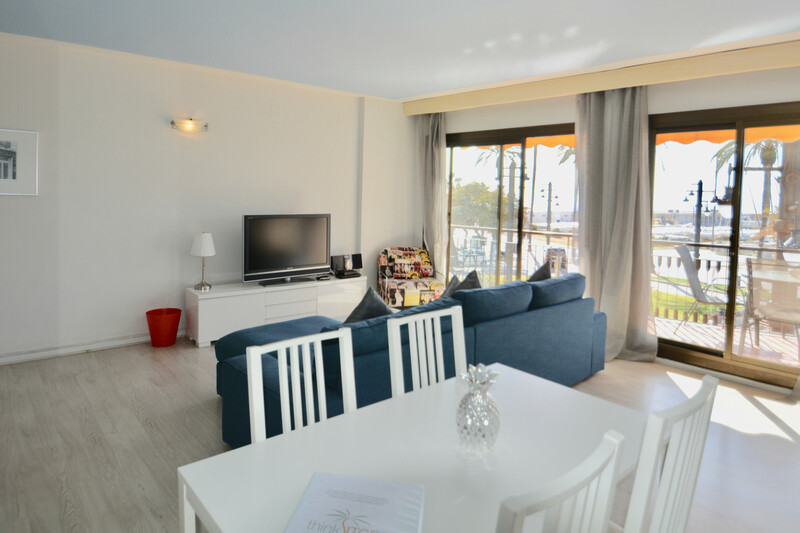 There is a flat screen TV, UK TV live streaming box, DVD, I pod dock and fast broadband Wifi internet. 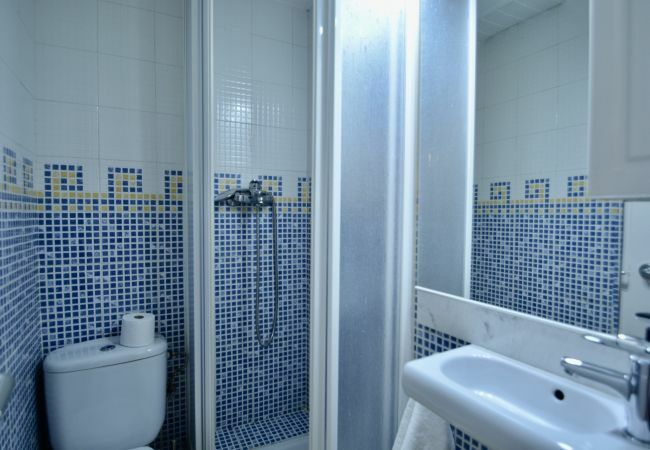 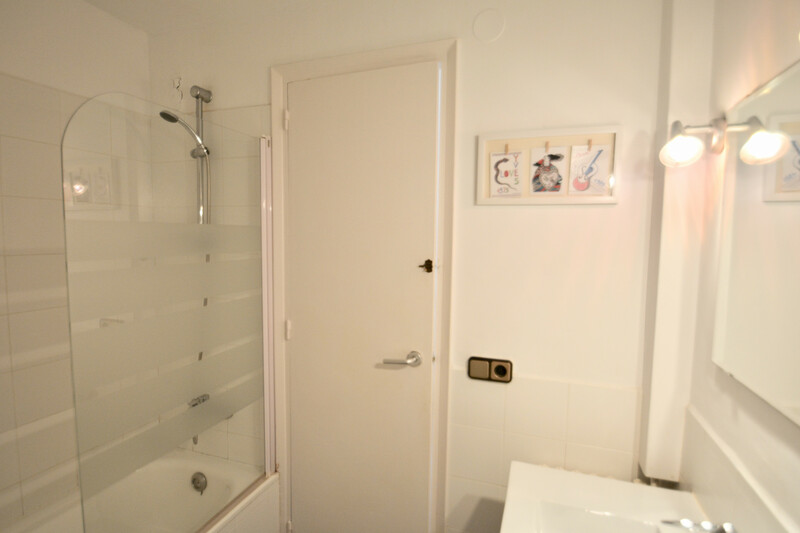 There are two bathrooms, one with shower cubicle and one with a shower over a bath. 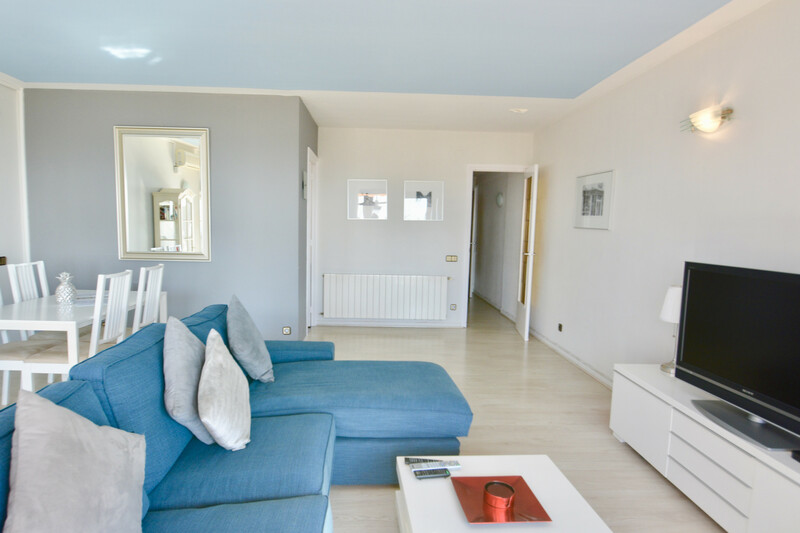 There is an air conditioning unit in the living area and one in each of the two bedrooms. 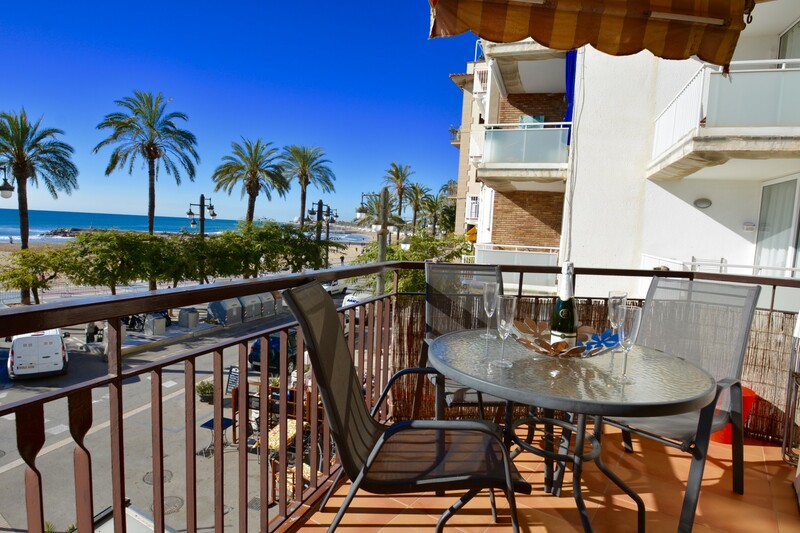 - beach, Oceanfront, Sea, Marina. 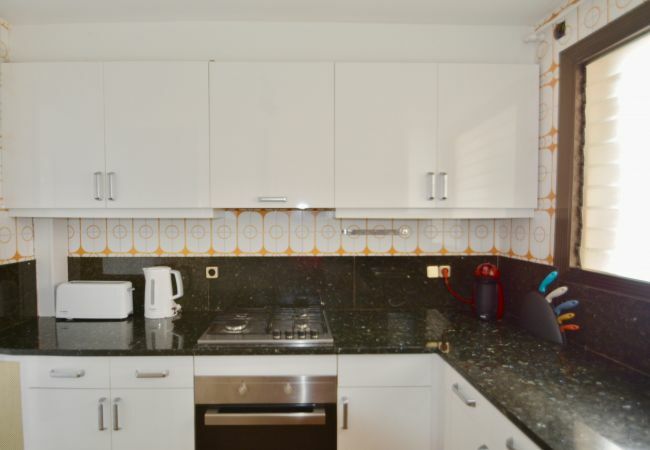 - 1 TV, TV Satellite (Languages: Spanish, English), DVD, 1st floor, garden furniture, iron, internet (Wi-Fi), hair dryer, balcony, 70 m² property, admitted animals with weight up to 353 oz (Dangerous breed dogs not allowed), single boiler on gas, air conditioning in the living room and in some bedrooms, 2 fans.